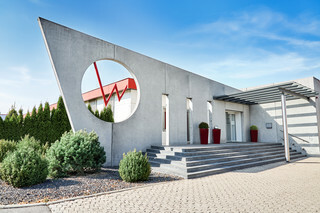 Weiss Spindeltechnologie GmbH, which is based in Maroldsweisach, Germany, is a specialist in the development and manufacturing of high-precision motor spindle units. The company supplies a full range of standardized and individual solutions and realizes their integration in complete mechatronic systems. Since 2003, Weiss GmbH has been a one-hundred-percent subsidiary of Siemens AG. With approximately 330 employees, thanks to its technical innovations, Weiss GmbH is a leading player in the motor spindles segment. Weiss offers a comprehensive range of spindles from one single source. This includes both standardized catalog spindles as well as individually customized designs for use in the areas of turning, milling, grinding, specialist motors and smart spindles. Service is a top priority at Weiss, which finds particular reflection in the SWSS (Siemens Weiss Spindle Services) service network that has been jointly established with the parent company, Siemens. In this respect, Weiss also benefits from the active use of the worldwide sales and service networks in the differing Siemens divisions. You can contact us online, by telephone, by email, or in person.